The National Park Service is investigating vandalism at several monuments in D.C., including one message that read "Jackie shot JFK" and another referencing Sept. 11. 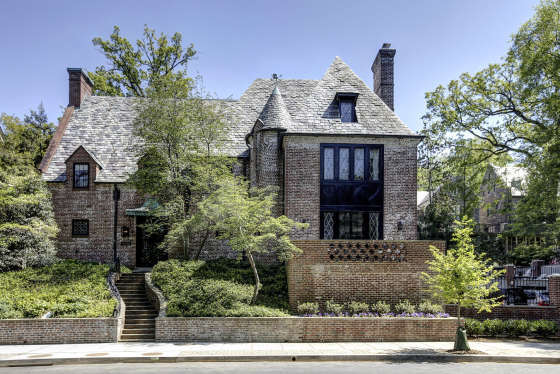 WASHINGTON — The National Park Service is investigating vandalism to several national monuments in D.C.
Take a look inside the Obamas' new home. 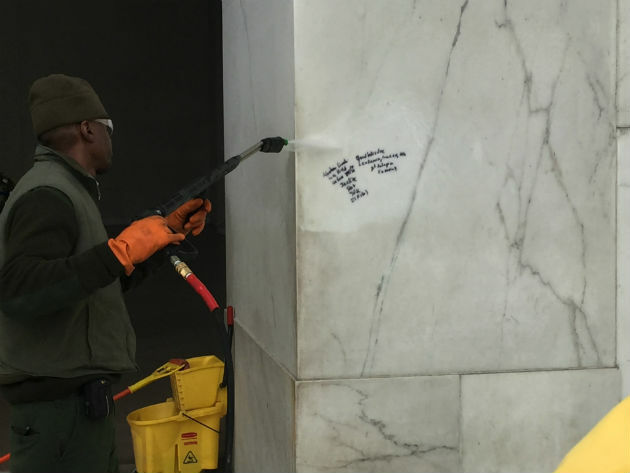 Cryptic messages scrawled in permanent marker cropped up at the Lincoln Memorial, the Washington Monument, part of the World War II Memorial and the D.C. War Memorial over the Presidents Day weekend, park service officials said Tuesday. The graffiti at the Washington Monument was removed by Tuesday evening, the park service said via Twitter; work at the other sites will continue on Wednesday. One of the messages found at the Lincoln Memorial read “Jackie shot JFK” and referenced the Sept. 11, terror attacks, said U.S. Park Police spokeswoman Sgt. Anna Rose. Some of the messages are illegible, she said. Earlier, Litterst told NBC Washington the messages were likely written by just one person, based on the similarity of what was written and the handwriting style. Editor’s Note: This story was updated on Thursday, Feb. 23 to include a fourth monument that was also vandalized, the D.C. War Memorial.